There is only one place on planet Earth where you can walk among the magnificent giant Sequoias, the planet's largest life form. That place is the Sierra Nevada mountains of California where many of these same proud sentinels that we see today were living when Jesus Christ trod the earth. Sequoia National Park and its adjacent neighbor Kings Canyon National Park are the home of many superlatives--the largest living things on Earth, the deepest canyon in the U.S., the highest mountain peak in the lower 48 states and on and on. Sequoia National Park was established on September 25, 1890. The park spans 404,063 acres (631.35 sq mi; 1,635.18 km2). Its highest point rises nearly 13,000 feet (4,000 m)above it's lowest point. The park contains the highest peak in the contiguous 48 United States, Mount Whitney, at 14,505 feet (4,421 m) above sea level. The park is famous for its giant sequoia trees, including the General Sherman tree, one of the largest trees on Earth. 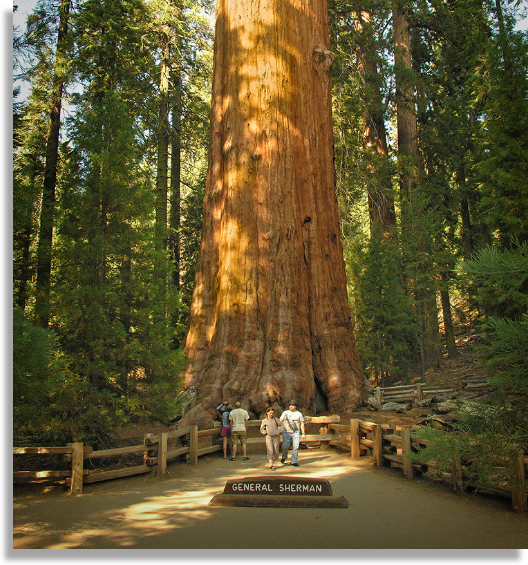 The General Sherman tree grows in the Giant Forest, which contains five out of the ten largest trees in the world. 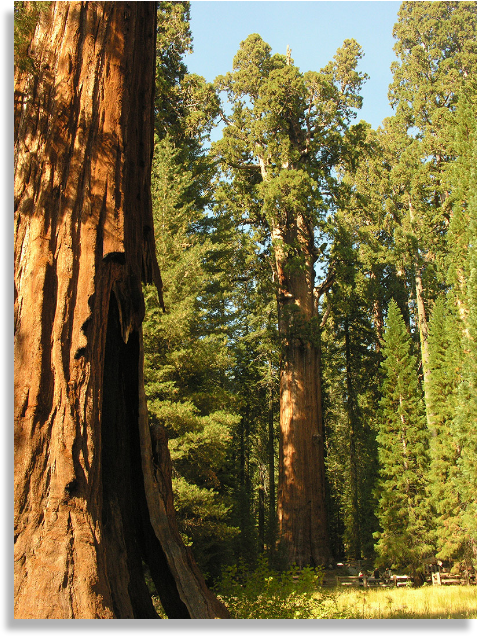 The Giant Forest is connected by the Generals Highway to Kings Canyon National Park's General Grant Grove, home to the General Grant tree among other giant sequoias. The park's giant sequoia forests are part of 202,430 acres of old-growth forests shared by Sequoia and Kings Canyon National Parks. 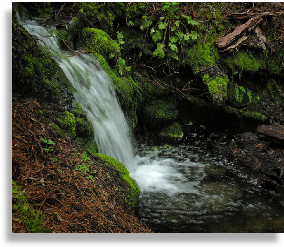 The area which now comprises Sequoia National Park was first home to Monachee (or Western Mono) Native Americans, who resided mainly in the Kaweah River drainage in the Foothills region of the park, though evidence of seasonal habitation exists even as high as the Giant Forest. In the summertime, Native Americans would travel over the high mountain passes to trade with tribes to the East. 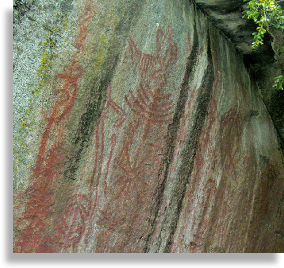 To this day, pictographs can be found at several sites within the park, notably at Hospital Rock and Potwisha, as well as bedrock mortars used to process acorns, a staple food for the Monachee people. The first European settler to homestead in the area was Hale Tharp, who famously built a home out of a hollowed-out fallen giant sequoia log in the Giant Forest next to Log Meadow. Tharp allowed his cattle to graze the meadow, but at the same time had a respect for the grandeur of the forest and led early battles against logging in the area. 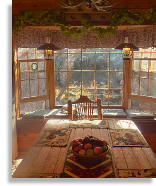 From time to time, Tharp received visits from John Muir, who would stay at Tharp's log cabin. Tharp's Log can still be visited today in its original location in the Giant Forest. 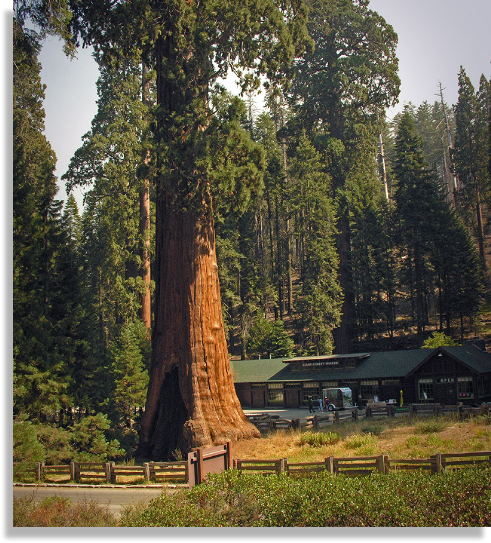 However, Tharp's attempts to conserve the giant sequoias were at first met with only limited success. In the 1880s, settlers seeking to create a utopian society founded the Kaweah Colony, which sought economic success in trading Sequoia timber. However, Sequoia trees, unlike their coast redwood relatives, were later discovered to splinter easily and therefore were ill-suited to timber harvesting, though thousands of trees were felled before logging operations finally ceased. The National Park Service incorporated the Giant Forest into Sequoia National Park in 1890, the year of its founding, promptly ceasing all logging operations in the Giant Forest. The park has expanded several times over the decades. 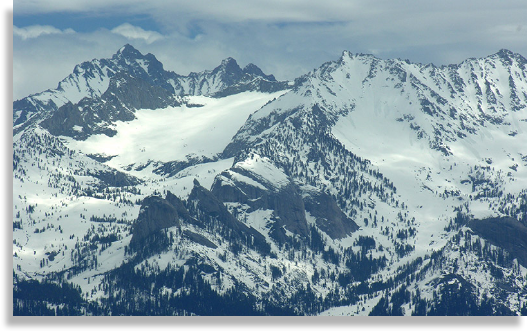 The most recent addition to the park was the area known as Mineral King, the highest-elevation developed site within the park and a popular destination for backpackers. Caves are discovered every year in the park; in fact, 17 have been discovered since 2003 alone. The most recently discovered major cave in the park, in September 2006, has been named Ursa Minor. Park caves are valued by scientists and cavers alike for their pristine beauty, variety, and endemic cave life. 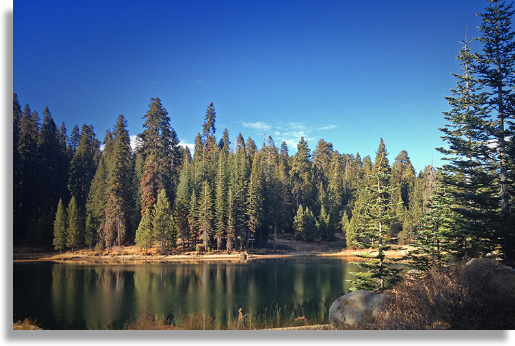 • Sherman Tree Trail An 0.8-mile roundtrip paved trail that descends from the parking lot to the base of the General Sherman tree and meanders through a grove of giant sequoia trees. • Tunnel Log is a tunnel cut through a fallen giant sequoia tree in Sequoia National Park. The tree, which measured 275 feet (84 m) tall and 21 feet (6.4 m) in diameter, fell across a park road in 1937 due to natural causes. The following year, a crew cut an 8-foot (2.4 m) tall, 17-foot (5.2 m) wide tunnel through the trunk, making the road passable again. • Tokopah Falls The trail to Tokopah Falls starts just beyond the Marble Fork Bridge in Lodgepole Campground. 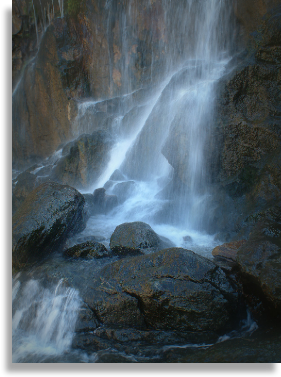 It is an easy 1.7 mile (one way) walk along the Marble Fork of the Kaweah River to the impressive granite cliffs and waterfall of Tokopah Canyon. Tokopah Falls is 1,200 feet (365.8 meters) high, and is most impressive in early summer. • Crescent Meadow is a small, sequoia-rimmed meadow in the Giant Forest region of Sequoia National Park. This sierran montane meadow marks the western terminus of the High Sierra Trail, which stretches from the meadow across the Great Western Divide to Mount Whitney. Pioneer Hale Tharp homesteaded in this and nearby Log Meadow. 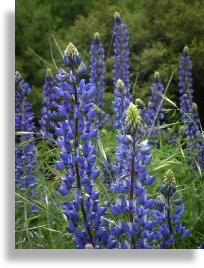 Conservationist John Muir visited this meadow many times and praised it highly calling it the "Gem of the Sierras". The meadow lies at the end of a three-mile paved road which leaves the Generals Highway near the Giant Forest Museum. 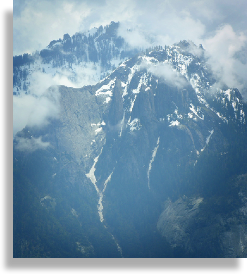 • Moro Rock is a granite dome located in the center of the park, at the head of Moro Creek, between Giant Forest and Crescent Meadow. A 400-step stairway, built in the 1930s by the Civilian Conservation Corps, is cut into and poured onto the rock, so that visitors can hike to the top. The stairway is listed on the National Register of Historic Places. The view from the rock encompasses much of the Park, including the Great Western Divide. It has an elevation of 6,725 feet (2,050 m). 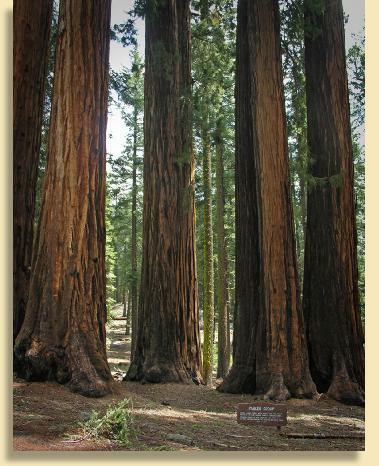 • Giant Forest Museum offers information about giant sequoias and human history in the forest. The historic museum was built in 1928 by architect Gilbert Stanley Underwood.